Meat consumption is hard on the planet and your pocketbook. 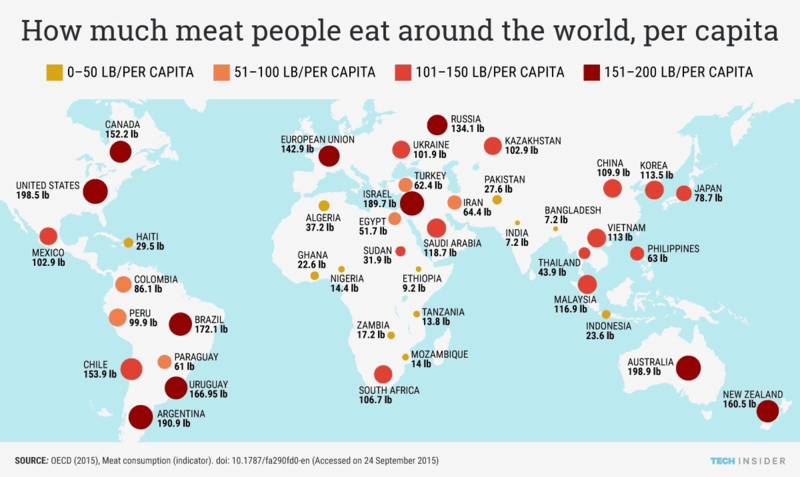 Here’s an overview of the countries which consume the most and least amounts of meat. ← Is the TPP really dead?